I heard a wonderful story on NPR the other night while driving home. It’s about the Brass sisters known as the Queens of Comfort Food from Cambridge Massachusetts. They tell the story of how, in their younger years, the sisters would go over to their Aunt Ida’s house and watch the TV show Dallas and get caught up. “We used to spend every Friday night with Aunt Ida,” says Marilynn Brass. For nearly 15 years, they’d chit chat, watch the prime-time soap opera Dallas (the original, when J.R. got shot) and eat. Luckily before Aunt Ida passed away, they asked her for the recipe and at the service they printed the recipe on beautiful blue paper that looked like it had clouds in the background. It reminded them of heaven. “It turned out the family and friends sat around talking about Ida during [her] memorial week, reading her recipe for poppy seed cookies and crunching those wonderful cookies!” says Marilynn Brass. 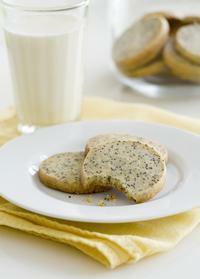 Of course they baked, and baked as they put it and served over 12 dozen poppy seed cookies at Ida’s service. What can we learn from the Brass sisters? Ask elders sooner than later for their special recipes and print a copy of the recipe and serve their classic goody at their service. 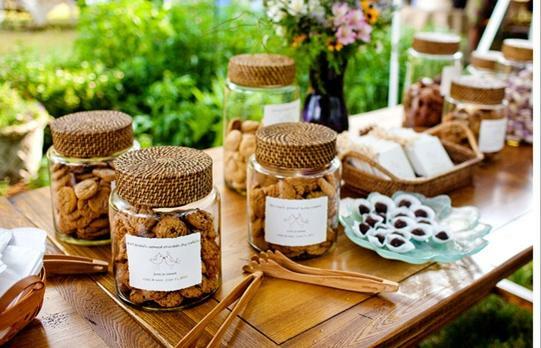 In lieu of flowers here’s an idea, offer to bake some of the cookies or bars for the family and serve them at the service. I don’t know about you, but I’d much prefer munching on a yummy cookie over looking at a funeral flower arrangement. For an added touch create a cookie bar at the life celebration. This entry was posted in Ideas for creating a memorial, Life Celebration Ideas and tagged aunt ida's poppy seed cookie recipe, celebration of life, funeral help, funeral ideas, funeral planning, In lieu of flowers, instead of flowers, life celebration ideas, memorial gifts, unique funeral ideas for flowers. Bookmark the permalink.